“Peter is an outstanding media executive who over the last decade has been critical in driving the growth and success of Foxtel,” said Clarke. “In his position as COO he will be responsible for helping drive the business to its next stage of growth. News' last chief operating officer was Peter Macourt, who left the organisation at the end of 2011. News Corp chief operating officer Peter Tonagh. 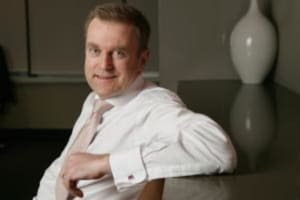 The changes have continued at News Corp with the media company's new boss Julian Clarke appointing Foxtel's Peter Tonagh as chief operating officer. Tonagh joins from within the News Corp family where he was previously chief operating officer and chief financial officer of Foxtel. News owns 50% of Foxtel. Tonagh had been at the pay TV operator for nine years. Tonagh's appointment comes two weeks after former Herald and Weekly Times executive Julian Clarke was hired to replace Kim Williams.